Your insurance company is supposed to be on your side. Unfortunately, after an accident, many people discover otherwise. When this occurs, you may find yourself involved in an insurance dispute with your insurance company, even while you are still trying to recovery from your injuries. If you or someone you love is involved in an insurance dispute, it is important to know that the Colorado law is on your side. Whenever you buy an insurance policy, you are essentially entering into a contract with the insurance company. As long as you keep your policy in good standing, your insurance company is legally required to uphold their end of the agreement. If your insurance company fails to do so, they are said to be acting in “bad faith” and you may be entitled to up to THREE times the amount of benefits that are currently owed to you. In addition to handling your claims quickly, your insurance company is also responsible for negotiating with third parties on your behalf. They are supposed to negotiate with your best interest in mind, but unfortunately, this is not always the case. If your insurance company fails to pay your claim or fails to negotiate a fair settlement that is in your best interest, you may be able to file a lawsuit against them. An insurance dispute attorney will be able to determine if your insurance company acted illegally and is guilty of breech of contract, breech of fiduciary duty or bad faith practices. Your insurance company may even be found guilty of violating the Colorado Consumer Protection Acts. If you or someone you love is involved in an insurance dispute, it is important to contact a Colorado Insurance Dispute attorney immediately. Colorado has strict laws in place to protect you from fraudulent insurance companies. Unfortunately, insurance companies often have large firms on their side to help them handle their legal issues quickly and protect their assets. As a result, it is important to have an experienced and aggressive insurance dispute attorney on your side, so you can receive the compensation that is rightfully yours. 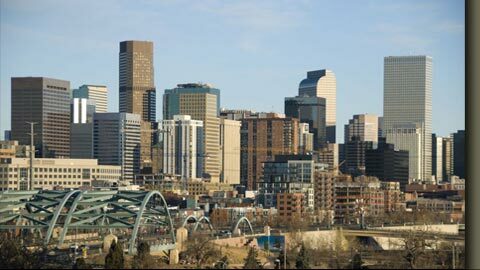 To speak with a Denver Colorado insurance claims lawyer about a loss or denial of insurance coverage, please call our office at 303-759-3300 or contact us online. We do not charge a fee to discuss how we can help you meet your legal needs. 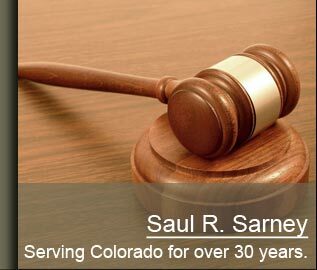 The Law Firm of Saul R. Sarney, P.C., in Denver, Colorado, represents clients facing personal injury and wrongful death lawsuits, and denial of insurance coverage claims throughout the greater Denver metropolitan area and areas north, including the cities of Lakewood, Aurora, Englewood, Littleton, Arvada, Greeley, Morrison, Boulder, and Broomfield, as well as Douglas County, Denver County, Jefferson County, and Arapaho County. We also represent clients in other states including Kansas, Nebraska and New Mexico.